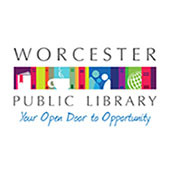 In an information-rich and culturally diverse society, the Worcester Public Library is a source of civic activity and pride, offering opportunities for the development of a literate and informed citizenry. Today's library is a vital and vibrant place of information and learning, used and valued by people of all ages, backgrounds and abilities. All library locations and staff are devoted to assisting Worcester's residents in this information-rich society in which we live. For more information, please visit the official Worcester Public Library website. Tell the Worcester Public Library how they are doing! During National Library Week, which runs from April 7 - 13, residents and visitors can voice their opinion by completing their online survey by clicking the link below. The Worcester Public Library has library branches located throughout the city. For complete location and hours information, please visit the official Worcester Public Library website. The City of Worcester is pleased to announce and promote these programs and events in celebration of Black History Month. Significant snow is predicted for the Worcester area from Saturday night through the day on Sunday. Extremely cold temperatures are also expected on Monday. The declared winter parking ban will go into effect at 4 p.m. on Saturday, Jan. 19.